I may not be able to say that Fantastical is the best calendar app for everyone, but I think it’s safe to say that it’s the best option for most people. What started on the Mac and made its way to the iPhone is now on the iPad. 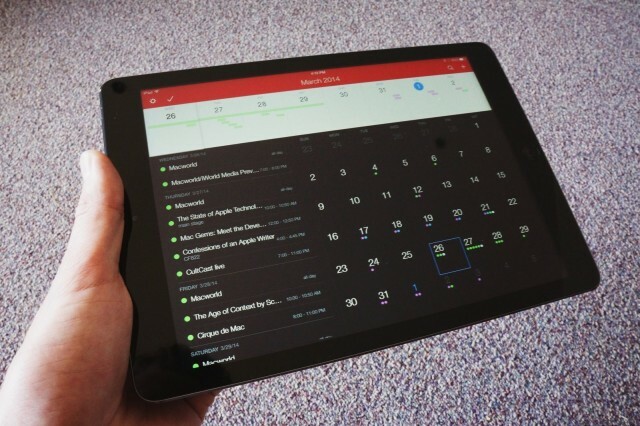 Fantastical 2 for iPad is here, and it’s great. Flexibits has created an iPad version of its most popular app that looks and feels exactly how you would expect. 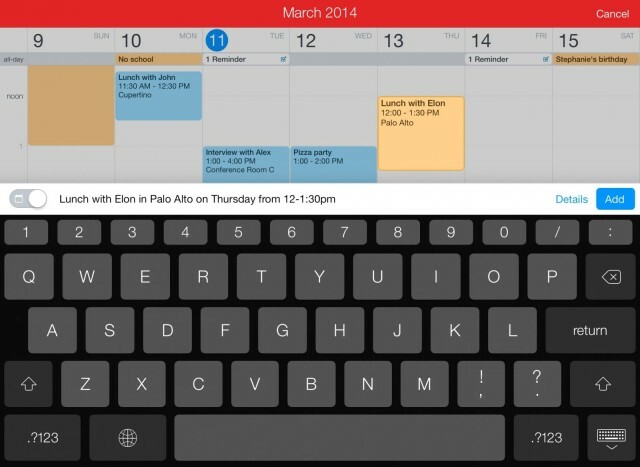 Fantastical users will have no trouble navigating or knowing where things are. The dashboard interface displays the day ticker at the top, event list on the left, and month view on the right. Flipping between landscape and portrait keeps everything in place, and landscape mode adds a couple of extra days to the top ticker. The real genius behind Fantastical is the natural language input for new events and reminders. “Lunch with Buster at Erfon’s house tomorrow at 3” translates into an event with all the related details. Tapping the “+” icon at the top right reveals an area to add events under the week view. Like the iPhone app, the small toggle on the left of the text field switches the entry from an event to reminder. Everything in Fantastical for iPad is accessible through gestures. Swiping down on the day ticker reveals an expanded week view that shows all of your events for each day. Swiping from the left side of the screen triggers a dedicated list for Apple’s Reminders, a service that integrates with Fantastical quite nicely. Swiping from the right lets you quickly search. There’s a light theme too. The app is designed to “give you your bearings of the month like a map,” according to Michael Simmons of Flexibits. After testing it for several weeks, I can safely say that Fantastical is the best and easiest-to-use calendar app for iPad that I have tried so far. For existing Fantastical users, it’s a must buy. 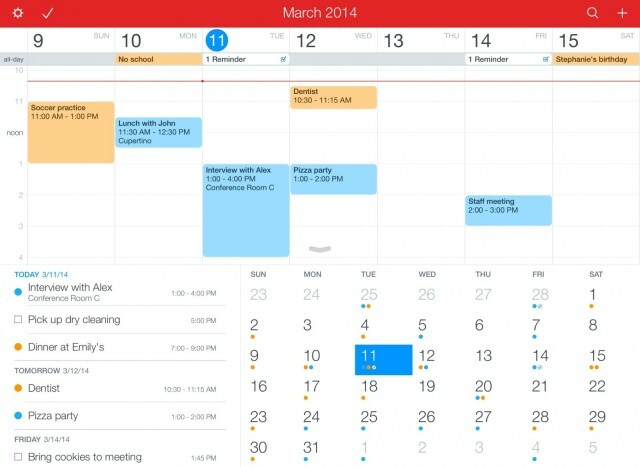 Fantastical 2 for iPad, which is iOS 7-only, is on sale in the App Store now for $9.99. The standard price will be $14.99.